MEXICO CITY, Jul 14 2014 (IPS) - Bean grower Manuel Alvarado is part of the majority of producers in Mexico who consider it unnecessary to introduce genetically modified varieties of beans, as the government is promoting. “There is no study showing superior yields compared with hybrid or regional seeds. People are still unaware of what transgenic products are, nor the effects they have, but some of the things that are known about them are not good,” said Alvarado, the head of Enlaces al Campo, a bulk beans sales company in the city of Fresnillo, in the northern state of Zacatecas. Genetically modified organisms (GMO) may cause a number of problems, among them the possibility that “transgenics will contaminate native and hybrid seeds, which have higher germination rates than transgenics,” Alvarado told IPS. Bean farmers in Mexico face a context of overproduction, low prices and increasing imports, in a country where there are 300,000 bean producers, half of them small scale farmers. Alvarado has obtained yields of between 12 and 16 tonnes per hectare from 10 native varieties of beans on 15 hectares of land. He has also tested 28 commercial maize hybrid seeds, obtaining up to 15 tonnes per hectare on 14 hectares of land. In 2013, beans were grown on an area of 1.83 million hectares in Mexico and 1.28 million tonnes were produced, with overall yields of 1.79 tonnes per hectare, according to the Observatorio de Precios (Price Observatory), an independent group providing information and analysis for food producers and consumers. The northern states of Zacatecas, Durango and Chihuahua are the main producing areas. Cultivation of GMO in Mexico is turning away from concentration on maize and soybeans, after various legal appeals in 2013 banned their planting. 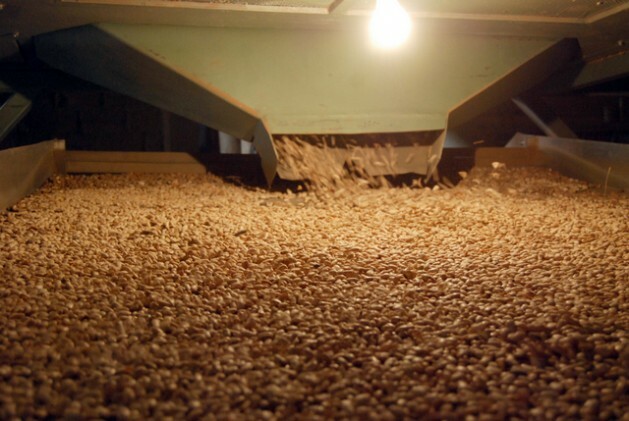 The Mexican government and the industry are expanding their sights now to include beans and wheat, among other crops. On Apr. 22, the National Institute of Forestry, Agricultural and Livestock Research (INIFAP) presented an application to the National Service for Agri-Food Health, Safety and Quality (SENASICA) for experimental planting of transgenic beans (Phaseolus vulgaris L.) on 0.12 hectares in the central state of Guanajuato. The application is based on the research paper “Resistance to Colletotrichum lindemuthianum in transgenic common bean expressing an Arabidopsis thaliana defensin gene,” funded by the National Council for Science and Technology and the Agriculture ministry and published in 2013 in the Revista Mexicana de Ciencias Agrícolas. The five authors, scientists at INIFAP, engineered five independent lines and 20 transgenic bean plants expressing the defensin gene. These plants proved resistant to two strains of the pathogenic fungus Colletotrichum lindemuthianum, which causes the fungal disease anthracnose. Non-genetically modified plants were not resistant. Anthracnose, rust, angular leaf spot and root rot are diseases that affect beans in Mexico, which has 70 different varieties of the crop. Silvia Ribeiro, the Latin America director of the Action Group on Erosion, Technology and Concentration (ETC Group), complained about the use of public funds to promote this kind of research which she views as a new “trick” to take over staple food production. “The use of public resources for GMO research increases dependence on technology. It would be better to devote these funds to supporting the vast reservoir of wisdom on bean farming among campesinos (small farmers), and to promote preventive pest management and agroecosystems,” she told IPS. SENASICA has received four applications this year for experimental and pilot plots of transgenic maize in 10 hectares in the northwestern staes of Sonora and Sinaloa from Pioneer, a U.S. seed company. A further four pilot project applications for 85,000 hectares of genetically modified cotton in different states have been made by U.S. giant Monsanto. The International Maize and Wheat Improvement Centre has also presented five applications for experimental planting of transgenic wheat on half a hectare in the central state of Morelos, adjacent to Mexico City. In 2013, SENASICA received 58 applications for experimental, pilot and commercial planting of transgenic maize on a total of over five million hectares, presented by Monsanto, Pioneer, Syngenta (Switzerland) and Dow Agrosciences (U.S.). Another 29 applications for experimental, pilot and commercial planting of transgenic cotton were made by Monsanto and Bayer (Germany), which also requested three experimental permits for soybeans on 45 hectares in the southeastern states of Campeche, Quintana Roo and Yucatán and the southern state of Chiapas. U.S. company Forage Genetics applied for an experimental alfalfa plantation on 0.38 hectares in the northern state of Coahuila. “They want to shift the focus of the debate away from the fact that only companies present applications, and show that there is a national research capability,” Catherine Marielle, the coordinator of the sustainable food systems programme of the Group for Environmental Studies, an NGO, told IPS. In July 2013, 53 individuals and 20 civil society organisations mounted a collective legal challenge against applications to plant transgenic maize, and in September a federal judge granted a precautionary ban on such authorisations. The Agriculture and Environment ministries and the companies involved presented more than 70 rebuttals of the ruling, but the case “will take time,” according to court sources. Since March 2014, organisations of beekeepers and indigenous communities have won two further provisional protection orders against commercial transgenic soybean crops in Campeche and Yucatán. In June 2012, the Agriculture ministry authorised Monsanto to plant transgenic soybean commercially on an area of 253,000 hectares in seven Mexican states, including Campeche. “We have perfected technological packages on how to prepare the soil, what seed to use and what fertilisers to apply. In the medium term we want to move to using organic fertilisers. All this would be scuppered if transgenic beans are imposed,” producer Alvarado said. 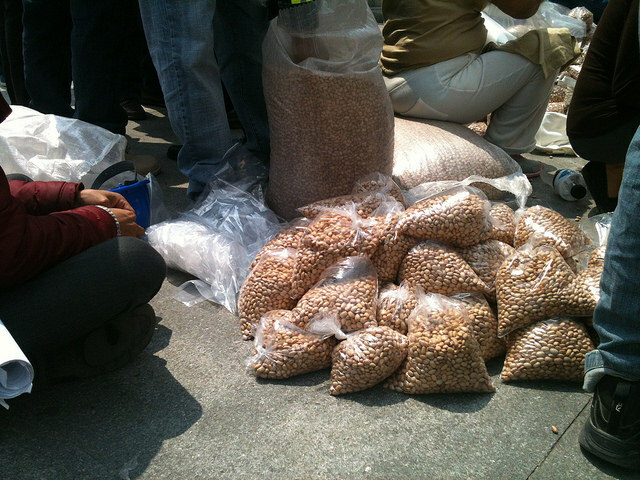 At present farmers sell beans for 30 to 45 cents of a dollar per kilo. With a state subsidy of a similar value, growers can recoup their production costs. In Alvarado’s view, farmers could compete with U.S. imports “if we organise in the production zones, and the state stockpiles, provides credit to producers and value is added” to beans. Although GMOs have been commercialised since the mid 1990s, nearly all transgenic crop production is concentrated in 10 countries: United States, Brazil, Argentina, Canada, India, China, Paraguay, South Africa, Pakistan and Uruguay, in that order. Most transgenic crops are used for livestock forage, but Mexico wants maize, at least, to be used for human food. The government supports GMO, according to agricultural officials, because in the medium and long term they are a means of confronting climate effects on food production and guaranteeing food security. “Mexico does not need transgenics. The country has never produced as much maize as it produces now. Besides, there can be no biosecurity with transgenics: they cause genetic erosion (loss of genetic diversity),” because contamination of conventional crops is inevitable, said Ribeiro of ETC Group.